Comecer will be present at Chem-Med 2015. 23-25 September 2015 – Milan, Italy. 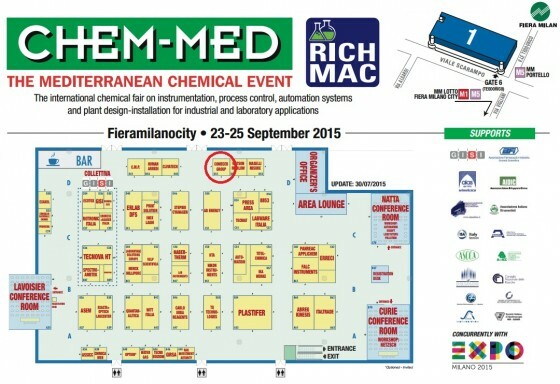 The 2015 Chem-Med/Rich-Mac edition will be held at Milanocity exhibition centre. The exhibition will take place simultaneously with the planned events for Expo 2015. Visit our stand D51 to discover the MDWI, modular dispensing and weighing isolator.